When he's onstage, a bundle of manic energy, funny voices, simple props, catch-phrases and shtick, Hart delivers. Kevin Hart is America's biggest (in popularity, not stature) comedian. His humor isn't for kids, this guy can seriously curse for America. A lot of his material is drawn from his personal experiences with family, friends and loved ones, and his trademark catchphrase "All right, all right, all right" is a staple uttered by his fans across the country. Citing Chris Tucker and DL Hughley as influences, he has established a firm fanbase amongst African-Americans as well as continuing to draw wider audiences through his various television projects and movies. Don't miss Hart as his Irresponsible Tour continues in 2018! 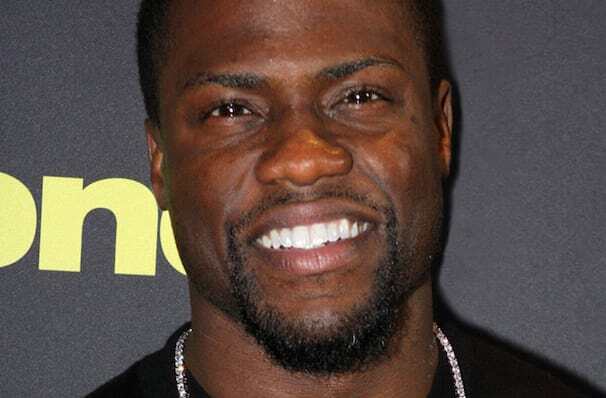 Kevin Hart is a Philly-born former shoe salesman who has become one of the funniest actor/comedians around. With an absent father who was in and out of jail for much of his childhood (now reconciled), Kevin learned to use humor to shield his difficult experiences growing up. He has appeared in various tv and films including The 40-Year-Old Virgin, Along Came Polly, Get Hard and recent box office hit Central Intelligence. Sound good to you? 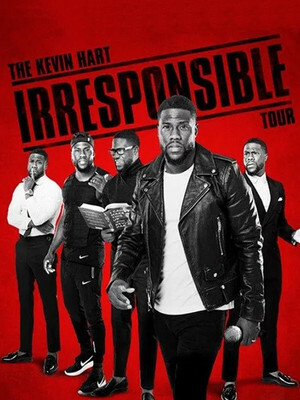 Share this page on social media and let your friends know about Kevin Hart at Nationwide Arena. Please note: The term Nationwide Arena and/or Kevin Hart as well as all associated graphics, logos, and/or other trademarks, tradenames or copyrights are the property of the Nationwide Arena and/or Kevin Hart and are used herein for factual descriptive purposes only. We are in no way associated with or authorized by the Nationwide Arena and/or Kevin Hart and neither that entity nor any of its affiliates have licensed or endorsed us to sell tickets, goods and or services in conjunction with their events.